We're in the thick of the 50th anniversary rumination on "the Pill," which has been blamed for precipitating "the sexual revolution" -- it was hardly the only impetus -- and has probably played a role in lowering maternal mortality as well. In May 1960, the U.S. Food and Drug Adminstration began the process of allowing the pharmaceutical maker G.D. Searle & Company to market its drug Enovid as the first oral contraceptive. A hundred million women worldwide use oral contraceptives now; where the average American women had 3.6 children in 1960, she now has 2. That's an important figure for our maternal mortality statistics, as the more children a woman has, the more likely she is to die in childbirth. Margaret Sanger, who coined the term "birth control," was driven first to become a nurse and then to make disseminating birth-control information her life's work after watching her mother's 18 pregnancies contribute to her death at age 50. When Sanger began her crusade, the Comstock Law of 1873, an anti-obscenity measure, made it illegal to publish information about birth control, and she was arrested more than once. In 1936, ruling in U.S. vs. One Package of Japanese Pessaries, Judge Augustus Hand of the U.S. District Court of Appeals in New York exempted birth control devices from restriction under the Comstock Law, which had been absorbed into the Tariff Act of 1930. This was the first step toward making birth control legal. The case came out of Sanger's importation of a shipment of "pessaries," in this case essentially a diaphragm, for distribution through the birth control clinics she had fielded since 1916. The researchers John Rock and Gregory Pincus, working first independently and then together, developed an oral contraceptive that they tested in Puerto Rico to get around laws that persisted against birth control on the American mainland. 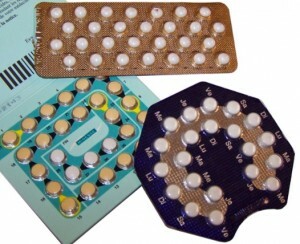 There have been some great recent stories about the Pill at 50 in the press. I thought Time magazine did a nice job of summing up the pre-Pill atmosphere, the history and today's landscape, and PBS has a useful timeline on birth control from "The American Experience" on its website. Flashing back to a time when people were arrested for sharing information on birth control is pretty chilling, especially given the fact that it wasn't very long ago.